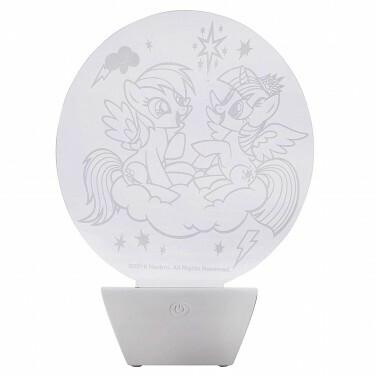 Little ones will adore this colourful acrylic lamp featuring their favourite My Little Pony characters. 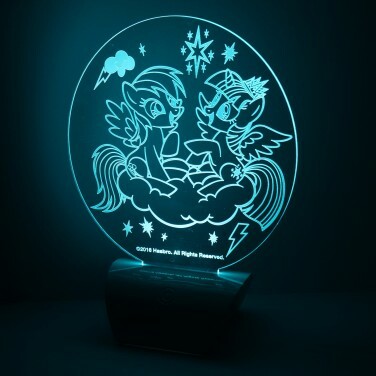 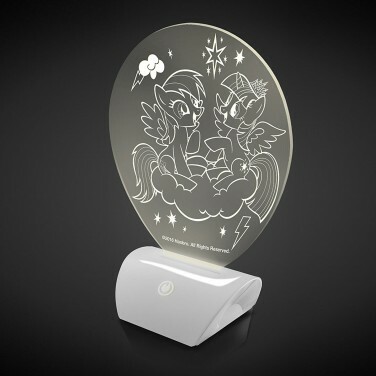 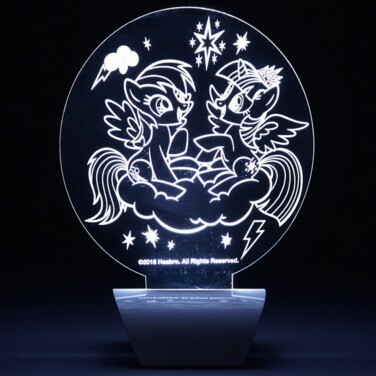 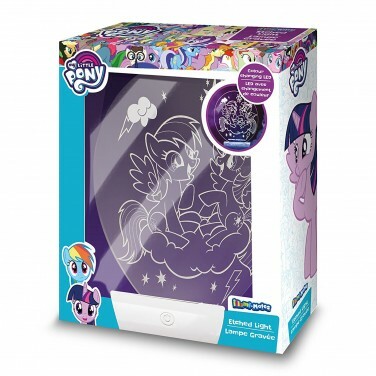 Rainbow Dash and Twilight Sparkle are etched into an acrylic panel that's illuminated by a colour change LED picking out the playful design in colour change light! 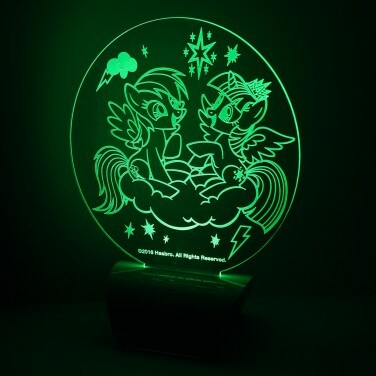 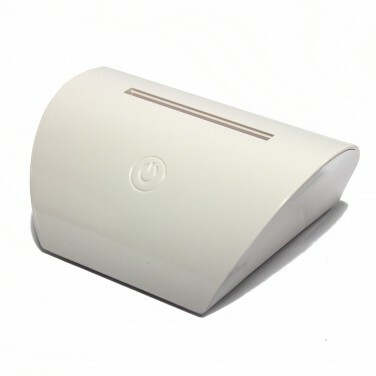 A unique and fun night light for kids rooms, this decorative light will soothe little ones in the dark night after night with colourful light and, battery operated, it can even be taken on the go!